Improving your smile can seem difficult if you are missing several teeth either on the top or bottom of your jaw. 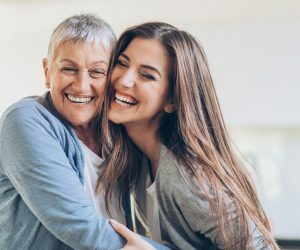 Fortunately, removable dentures have made it easy for you to obtain that gorgeous, full smile that you’ve wanted without the headache of having bridgework and crowns placed. Removable dentures are easy and are made to look like real teeth so that you can feel confident wearing them throughout the day wherever you go. Removable dentures are plates of teeth that cover an entire arch, whether this is the top or bottom jaw. The dentures can be removed at your own convenience, whether this is to sleep or clean them. Because the dentures are easily removed, you aren’t bound to keeping them in all the time and can be more comfortable at your own convenience. 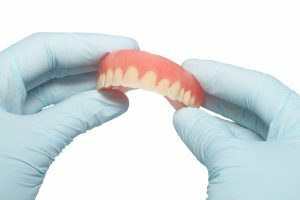 Who is a Good Candidate for Removable Dentures? Anyone who has multiple missing or decayed teeth is a viable candidate for removable dentures. Those who want a less permanent option for replacing their teeth should also choose removable prosthetic work rather than something that would be fitted in, as you would find with implant dentures. People who find it difficult to keep affixed dentures clean should also choose removable ones for their own health and convenience. Easily remove the dentures to clean them. Effortlessly remove the dentures at night for your own comfort. Have the ability to remove your dentures whenever and wherever you feel it is needed. If you want removable dentures, contact us today!